Create beautiful and authentic looking Daisy Center Stamens with these specially designed cutter/stamp set. 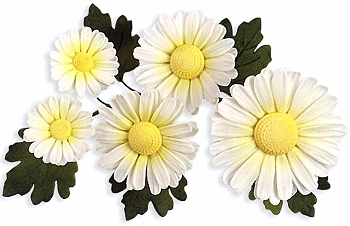 6-piece set, these cutters will produce six different center stamen sizes; 1/8", 1/4", 7/16", 1/2", 11/16" and 13/16"
These stamps produce an authentic looking Daisy center with an embossed stamen pattern. 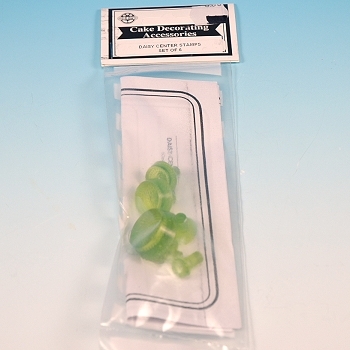 Plastic cutters will easily cut and emboss prepared gum paste. PME / JEM Sugar Craft England, producer of fine cake decorating tools.